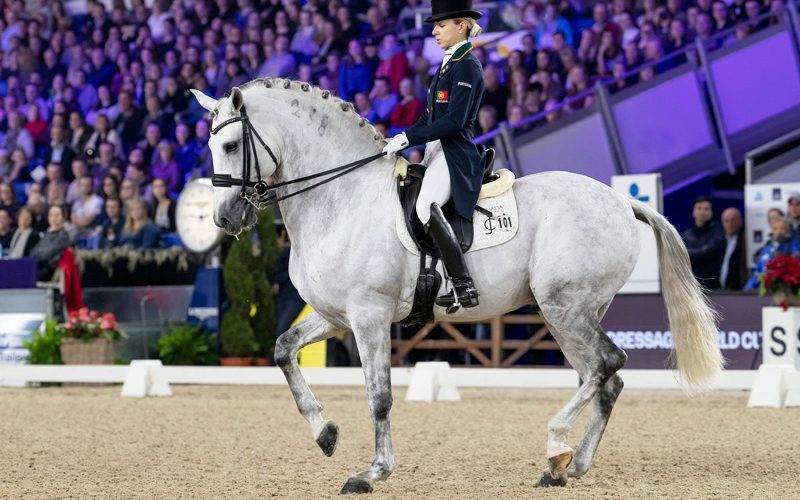 Tomorrow’s tenth and last leg of the FEI Dressage World Cup™ 2018/2019 Western European League series at ’s-Hertogenbosch in The Netherlands will bring the fourth and final qualifying series of the current season to a close. 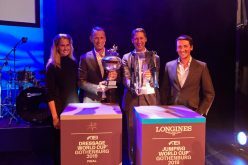 Already horse-and-rider combinations from the Pacific, North American and Central European Leagues have earned qualifying spots for the 34th Final which will take place in Gothenburg (SWE) from 3 to 7 April, and tomorrow will decide who makes the cut from Western Europe. The Pacific League result was decided in January when Rozzie Ryan strutted to success at Boneo in New South Wales partnering the 13-year-old Jarrah R. The British-born Australian athlete, who represented her country at the FEI World Equestrian Games™ in Stockholm (SWE) in 1990 riding Stirling Wilton, posted a Freestyle score of 72.710 to pin compatriots Holly Cutler (Diva Royale) and Sue Hearn (Remmington) into second and third places. “I am just thrilled with Jarrah – he tried his heart out, it was a bit unexpected, but I am absolutely over the moon!” said the stalwart who was also Australian team reserve for both the Sydney 2000 and Beijing 2008 Olympic Games. 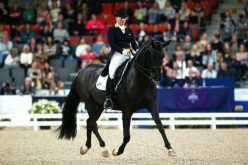 She finished 11th with Donna Carrera at the FEI Dressage World Cup™ Final in ’s-Hertogenbosch in 2008 but she has decided she won’t make the trip to Gothenburg this time around, and there will be no representative from the Pacific League at this year’s Final. 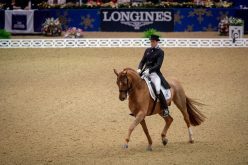 On the other side of the globe, US riders Laura Graves and Kasey Perry-Glass secured their invitations to Gothenburg at the last qualifying show of the North American League staged in Wellington, Florida (USA) in early March. Under a new rule for athletes in this region, the best scores from three CDI-W competitions were required instead of two, and Graves left the result in no doubt with an impressive hat-trick of victories aboard her 17-year-old gelding Verdades. 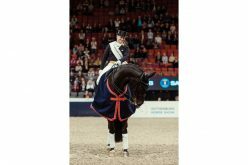 She had just been named USA Equestrian for 2018 when she presented her new “Coming to America” Freestyle for the first time at Wellington in January. 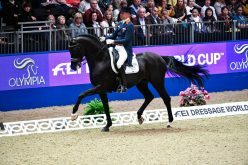 The music and floorplan had been prepared for the FEI World Equestrian Games™ 2018 in Tryon last September but didn’t get an airing because the final competition was cancelled due to concerns over weather conditions. When it did at last make its debut in Wellington two months ago however Graves posted a score of 84.935 to finish more than two percentage points ahead of Perry-Glass and Goerklintgaards Dublet in second, and then she came out again a week later to pin Shelly Francis and Danilo into runner-up spot. On her third and final appearance Perry-Glass was once again her nearest rival, and with an average mark of 84.230 from her three counting scores Graves headed the final League standings with Perry-Glass a strong second with an average score of 83.241, taking the other available qualifying spot for the annual Final. 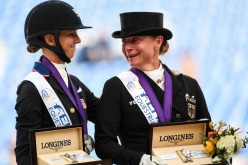 Gothenburg will be Graves’ fourth FEI Dressage World Cup™ Final and, having finished second to Germany’s Isabell Werth in both 2017 and 2018, the American who lies second in the World Rankings which continue to be headed by Werth, is likely to pile on the pressure once again this time around. Last weekend the 13-leg Central European League drew to a close at Zhaskiv in Ukraine where the host nation’s Inna Logutenkova was completely dominant when steering Don Gregorius into pole position and Fleraro into second place. However for the last five seasons Logutenkova has opted to collect points in the Western European League, so the main points-earner was her compatriot Maksim Kovshov who lined up in third with Flirt and slotted into sixth place on the final leaderboard. The real battle at the top of this League table was slogged out between Russia’s Regina Isachkina and Stanislav Cherednichenko who eventually finished joint-winners with 68 points apiece. 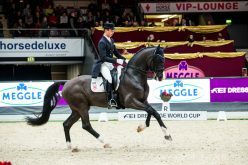 Cherednichenko racked up his scores over six different legs but Isachkina competed just four times, recording a win in Sopot (POL) and two victories in Moscow (RUS) with the 10-year-old stallion Sun of May Life, and adding eight points to her tally for ninth place in Zakrzow (POL) partnering the 11-year-old mare, Le Fleur. 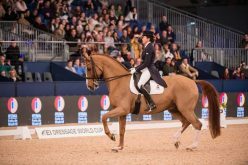 Only one athlete from each National Federation in this region can qualify for the Final so the Russian Federation must decide which of the two riders, who are tied on points, will go to Gothenburg. The second qualifying spot in this region was offered to Hanna Karasiova who finished third on the league table, but when she declined the invitation then fellow-countrywoman, Olga Safronova, jumped at the chance to represent Belarus.